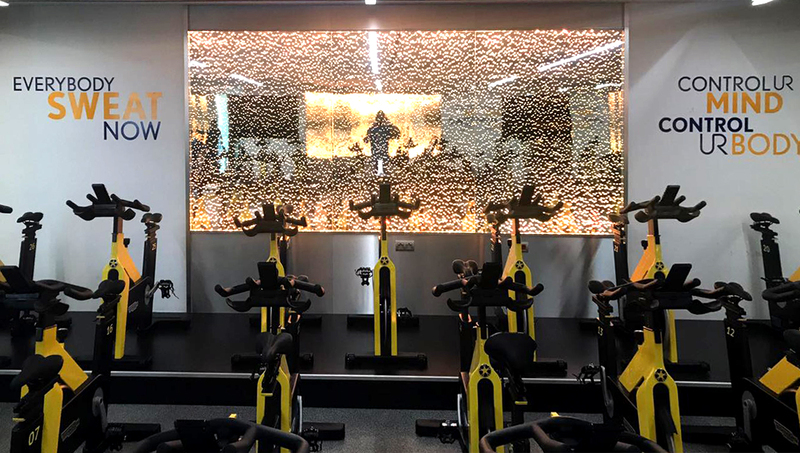 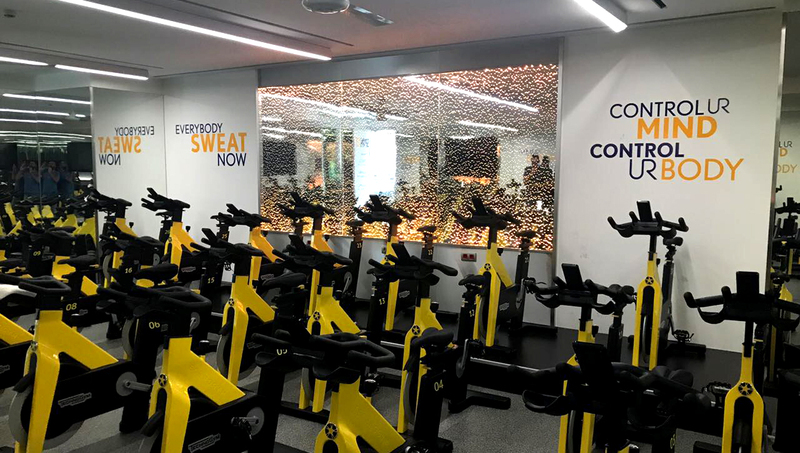 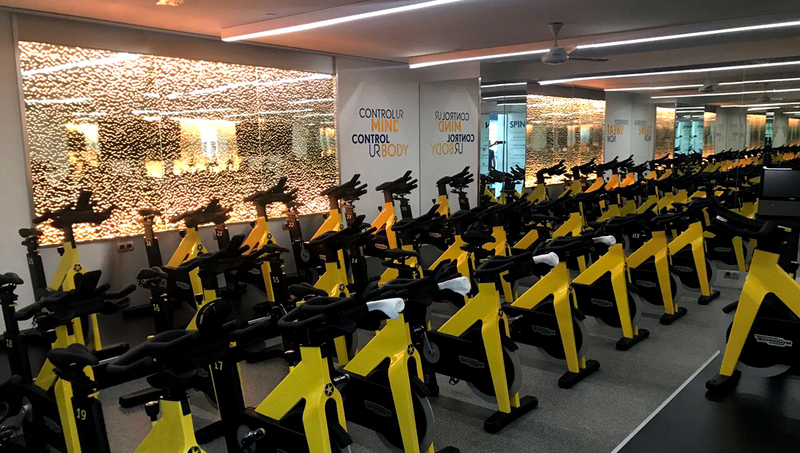 Sensitile Spark™ panels were utilized to enhance a cycling room at Urban Retreat. 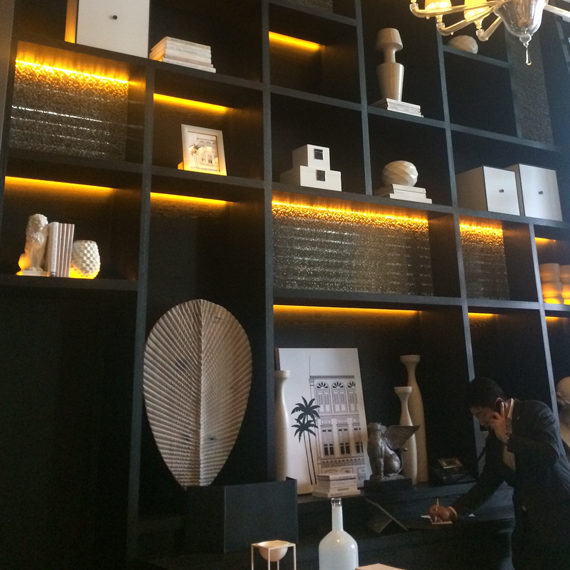 These resin panels have been surfaced mounted and framed on a wall as well as edge lit from both top and bottom. 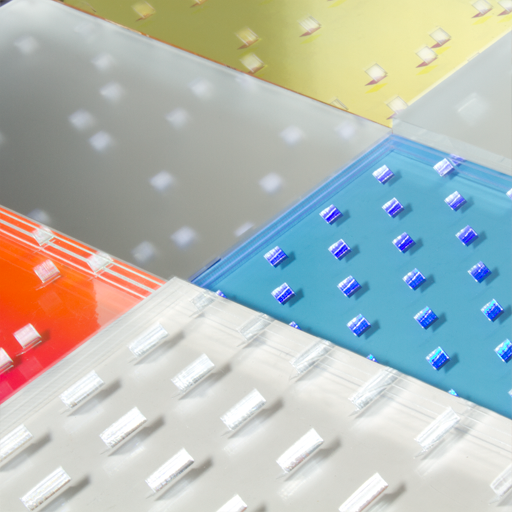 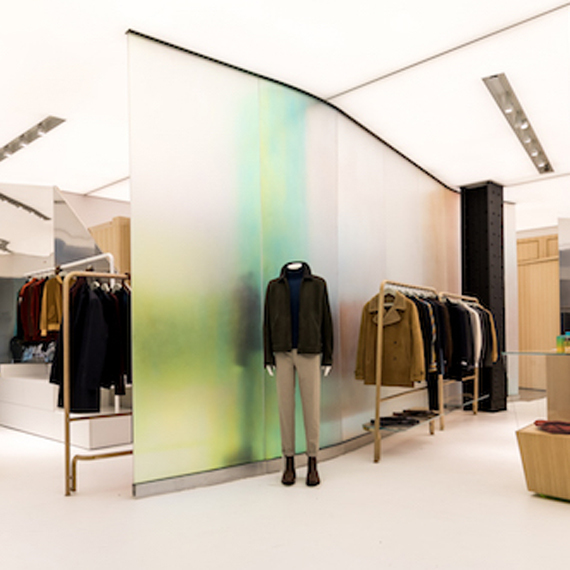 A mirror finish adds a reflective quality that visually increases the space and enhances the glow of the pattern within the panel. 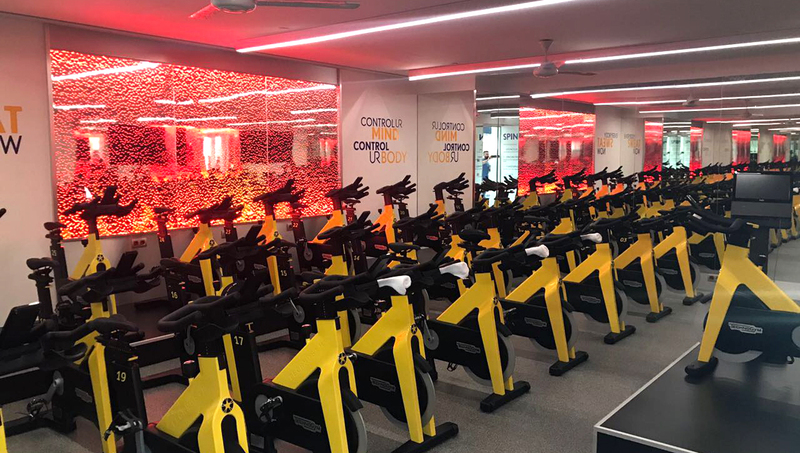 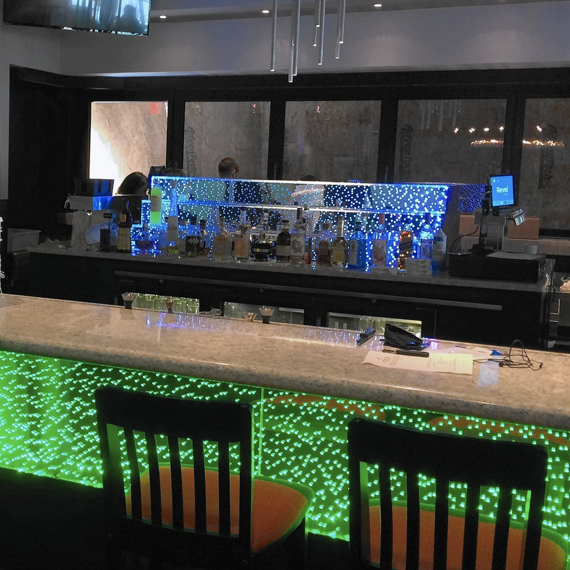 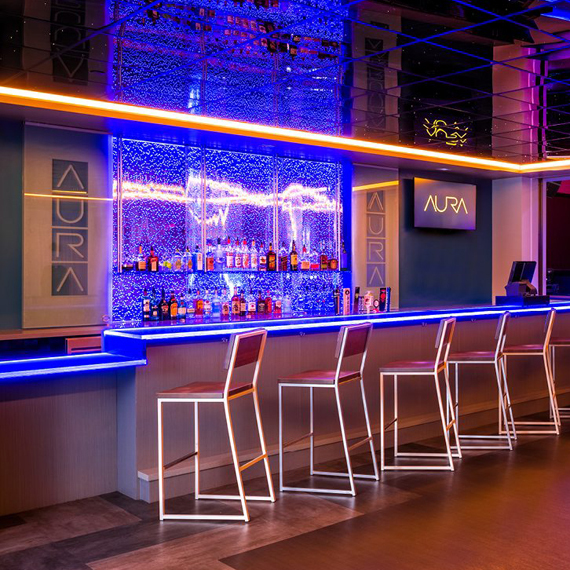 Color changing LEDs were used in the edge lighting in order to achieve a golden yellow that matches the branding colors of the business.